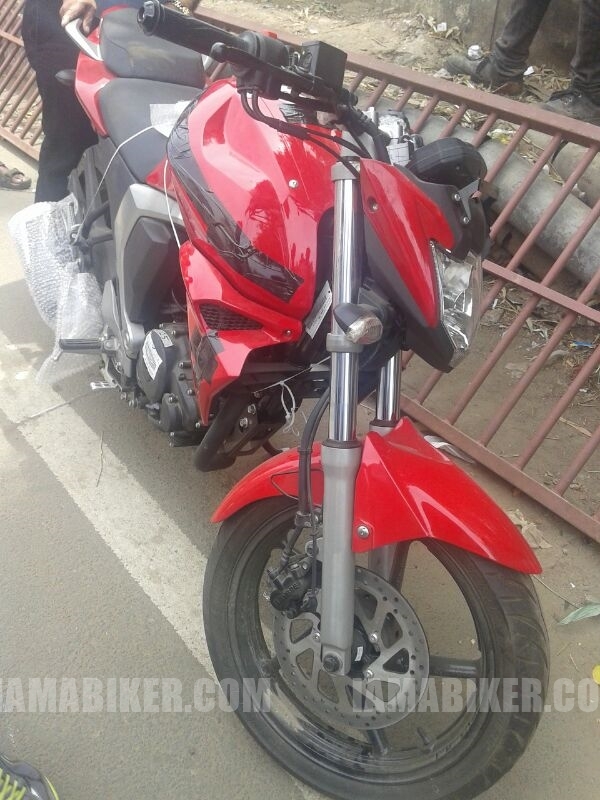 The fact that there is a new Yamaha FZ around the corner is nothing new and many a time in the past couple of months the new Yamaha FZ has been spotted testing all around the country. For the first time though we have a clean photograph of what the final product looks like. There is a lot a speculation as to whether the new Yamaha will be a 170cc fuel injected one, unfortunately though we still cannot confirm that, but we are pretty sure that fuel injection is a definite possibility as the older FZ was not exactly a very fuel efficient one, especially compared to the other 150cc counterparts. What we can infer from the photograph are the various design changes. There are newly designed headlights and side scoops, split seats and what looks like could be a slightly different exhaust end can. Design wise it will in all probability resemble the concept FZ shown at the Auto Expo 2014 in a more ways than one. Expect a launch late this month, mostly on the 30th. More details of-course live from the launch. Stay tuned.